One of the benefits of working at TDS Telecom is the “Be Good Citizens” program, which allows eligible employees up to four paid volunteer hours per quarter. The Billing Operations (Bill Ops) department created a Volunteer Committee to arrange volunteer events to make this policy accessible to its employees. Now, it serves as an example for members of other departments to go out and use their own volunteer hours. The Bill Ops Volunteer Committee is always looking for new organizations in the area they can support for their quarterly volunteer event. 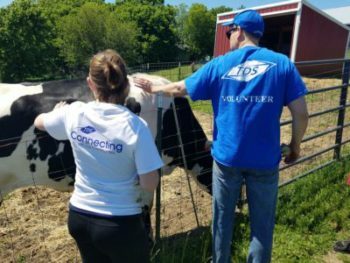 A simple Google search brought them to their most recent organization, Heartland Farm Sanctuary, where they helped with maintenance work and, of course, got to pet plenty of adorable animals. Heartland Farm Sanctuary is a rescue center for homeless farm animals that offers therapeutic resources to people, fostering the mutually beneficial human-animal relationship. 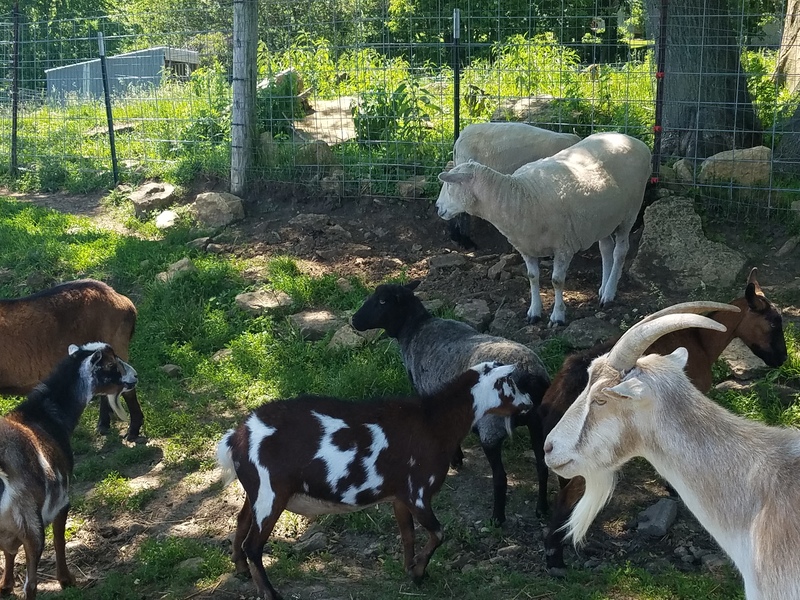 Many of the animals were abandoned or abused and then rehabilitated at Heartland to provide animal-assisted therapies and services to survivors of traumatic events or children and adults with special needs. One of these programs is a children’s day summer camp where participants learn about animal care and character building. Volunteers are essential to the farm so it can continue to provide care for the animals and services to people. “The highlight of the event was seeing how much the Heartland employees care for all of these animals,” said Brendon. It’s obvious that this compassion is what drives the entire organization of Heartland. Animals that receive a second chance end up making big differences in peoples’ lives. Volunteer opportunities arranged by the committee may be during or outside of work hours. Organizations and non-profits often see the number of volunteers taper out during the work week, as more people are free on weekends. The Volunteer Committee’s weekday events get extra help to organizations when they need it.